One of the major causes for colon cancer is the food we eat. Certain substances found in food are carcinogenic. Heterocyclic amines are one such compound found in meat, chicken and fish when they are cooked at high temperatures using methods like barbequing, frying or grilling. Another carcinogen called polycyclic aromatic hydrocarbon are formed when food is cooked over open flame or smoked. Avoiding or minimizing the exposure to carcinogenic food can help to prevent or control colon cancer. It is necessary to have a proper nutritious diet to prevent and fight colorectal cancer. Colon cancer affects the ability of the body to digest food and to absorb the nutrients present in them. This can lead to severe malnutrition of the person over time. This will make the person feel weak and it affects the ability of the person to tolerate colon cancer treatment. 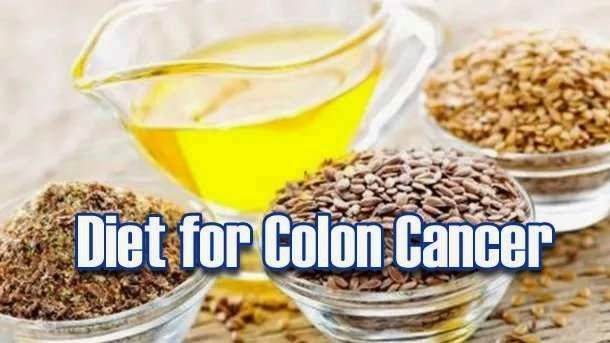 The diet for colon cancer patient should be able to make the patient to tolerate the treatment, prevent malnutrition and to improve the quality of the life of the patient. The diet of the colon cancer should be according to the symptom and according to what the person is comfortable with. Avoid using nuts, seeds, raw fruits, and vegetables with skin as it will be difficult to digest. Try to eat non spicy or bland food like baked or boiled chicken, crackers etc. If the patient is experiencing constipation take plenty of fluids like prune juice and a small amount of caffeinated beverage and eat fiber rich food like oatmeal, raw fruits and vegetables. In case the patient has diarrhea drink clear liquids and should eat low fat and low fiber food. Foods with strong spices and caffeine should be avoided. To avoid bloating the patient should take a diet devoid of cruciferous foods like broccoli, cabbage, egg; garlic, onion etc. Avoid food containing fructose and sorbitol. Eat soft and creamy foods soaked in gravies or sauces that are easy to digest. The patient should constantly try new foods as the taste changes continuously with different types of treatments. When the gastrointestinal tract repairs and replaces the lost tissues the food which were felt awful one day might taste good after a few days. In colon cancer survivor food will take more time to digest and some food may upset the bowel movements. The person may need to go to the toilet often and if the person had a colostomy it will take few months for the bowel to become normal. In such cases the survivor will have to avoid certain food items. Some foods can cause gas formation in colon cancer patients after the treatment. The person will have to find out by trial and error which food items are suitable and which are not suitable. It is necessary to add more cancer fighting food in the diet. Consume 6-8 glasses of water daily. Colon cancer treatment cause many side effects in patients such as nausea, vomiting, diarrhea etc and make the person feel sick. Patients need to avoid certain foods when they are under colon cancer treatment. To alleviate the problem of nausea eat small frequent meals at room temperature. If the patient experience taste change as a result of chemotherapy eat foods that are sour or tart such as lemonade. Use spices, herbs and marinades to give flavor to food. Include whole grain breads, fruits without skin vegetables and cereals. Include moderate amount of meat and dairy products if the patient is comfortable with it. Include more protein in your diet in the form of milk, cheese or cooked eggs. Avoid high fiber foods if the patient is having diarrhea as a side effect of treatment. If the patient does not feel like eating replace the solid food with a liquid meal. Drink plenty of water even if you are not able to eat. Try having juices, soups which will provide the patient with nutrients and calories. Eating healthy can help to prevent colon cancer to a certain extent. It is better to have food obtained from plant sources and one should reduce the fat intake from animal source. Everyday diet should contain some of the items listed below to decrease the risk of colon cancer. Vegetables- These are one of the best ways to decrease colon cancer risk as they contain fiber, folate, vitamins etc. the important vegetables to include in the diet are green leafy vegetables; brassicas which include cabbage, broccoli, cauliflower brussel sprouts. Allium group of vegetables such as garlic, onion, shallots etc. Soy products, tomatoes and carrots are also effective in fighting cancer. Fruits – It is necessary to include five servings of fruits in your everyday diet to prevent cancer. Consume whole fruits to get benefitted by it. The fruits which are capable of preventing cancer include apples, cranberries, blueberries, grapes etc. Green Tea- Studies have found that drinking green tea regularly reduces the risk of colorectal cancer by 50%. Whole Grains And Legumes- Whole grains are an excellent source of fiber and Vitamin B. The phytic acid present in these foods reduces risk of colon cancer. Fish – Fish intake is protective effect on colon cancer. This is due to the presence of omega-3- fatty acid. Consume cold water fish like salmon, herring, mackerel, cod etc. Olive Oil- Animal fats and certain vegetable oils increases the risk of colon cancer. Monounsaturated fats found in olive oil are protective when consumed in the right amounts. Phenols in virgin olive oil inhibit the formation of cancer cells in the colon. Peanuts- The nutrients in peanuts have anti- cancer effect. Turmeric- Turmeric contains curcumin which has antioxidant and anti-inflammatory action. It reduces cell proliferation of mutated cells in the tumors. Ginger- Ginger has an active component called gingerol which will inhibit the growth of colon cancer cells. Yoghurt – It has been found that yoghurt and other fermented dairy products reduce the chances of colon cancer. The beneficial bacteria present in fermented foods protect the colon cells from the effect of carcinogens. It is necessary to consume a moderate amount of food which will provide the right amount of calories to support cancer free life. It is necessary to add a moderate amount of exercise to the lifestyle to prevent colon cancer or any other type of cancer. During surgery for colon cancer a part of the large intestine will be removed and hence the stool will not be solid. The patient may have diarrhea. The doctor may provide you with medicine to control diarrhea. However you will have to replenish the nutrients through the diet. Drink plenty of fluids if there is diarrhea. Eat food rich in calories and protein after surgery to help healing and to fight any chances of infection. The diet should contain meat, fish, and eggs. To start with, have small frequent meals instead of 3 large meals. Avoid long gaps between meals. Start eating a low fiber diet after the surgery like white pasta, bread, biscuits, cooked and peeled vegetables and fruits. Avoid taking caffeinated drinks if the person is having diarrhea. Take peppermint water to reduce any trapped wind and discomfort. Take juices without pulp or fiber. Include tender and skinless chicken and turkey, fish and lean cut meat. Avoid fried foods rich in fat. The individual dietary need will vary from person to person. It is better to try different foods and find out which are suitable and comfortable to your intestine and taste buds. You can consult a registered dietician if you want to get proper guidance for diet for patients with colon cancer. It is necessary to be physically active and to maintain a healthy weight once recovered from the colon cancer. 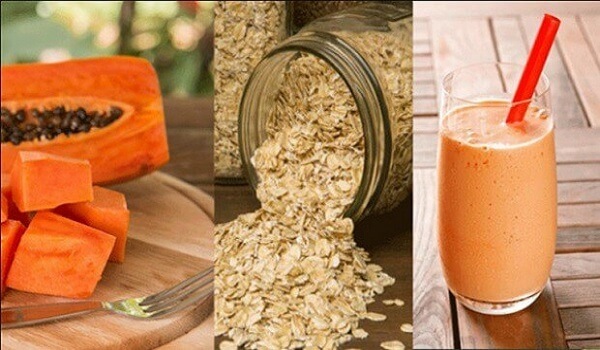 Take diet which will prevent the recurrence of colon cancer.